The Official Mort Künstler Blog: Meet Mort Künstler! 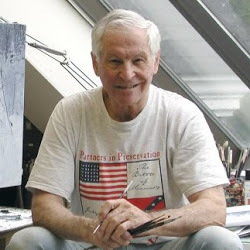 Mort Künstler will appear at the Legacy Museum in LaGrange, Georgia on April 17 for a reception and the unveiling of his final Civil War painting LaGrange vs. LaGrange. A print signing will be held at the museum from 10am - 1pm on Saturday, April 18. Visit http://www.legacymuseumonmain.org or call 706-884-1828 for information on how to purchase tickets. 10:00 am - 1:00 pm - Künstler will be available to sign prints of LaGrange vs. LaGrange. Prints and memorabilia will also be available for purchase.